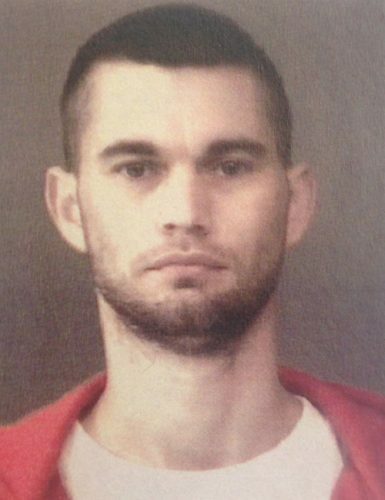 WARSAW — A Granger man was sentenced in Kosciusko County Superior Court 1 for burglary and invasion of privacy after police said he entered the home of a woman from whom he was ordered to stay away. Darrell Isaiah Spice, 37, 51091 Covington Shores, Granger, pleaded guilty earlier this year to burglary, a level 6 felony, and invasion of privacy, a class A misdemeanor. He appeared in court on Thursday, Oct. 18, for sentencing. Superior Court Judge David Cates reminded Spice that the woman who filed a no-contact order against him had done so as a result of a previous case where Spice was convicted of residential entry and domestic battery. “What’s it going to take for you to stay away from her?” Cates asked Spice. Spice told the judge at his previous hearing that he not only wanted to plead guilty but that he wanted to represent himself. Cates advised Spice at both the hearing and at his sentencing about all the potential pitfalls of self-representation. According to police, Spice was convicted of harming a woman in 2016 and was convicted of that crime the following year. At that time, he was ordered to not have contact with the woman. According to the affidavit of probable cause, Spice showed up at the woman’s house while she was not home on Dec. 27, 2017. Police said Spice gained entry to the home despite the objections of the woman’s two juvenile sons. Police arrived and later reported that the boys were ordered by Spice to not answer the door for police. Police then entered the home and took Spice into custody. Cates sentenced Spice to two years in the Kosciusko County Jail for the burglary charge and one year for invasion of privacy. The one-year sentence was suspended in favor of probation and Spice received credit for 296 days of time already served. Cates also ordered Spice to receive treatment from The Bowen Center for anger management and chemical dependency. Cates also told Spice that if he’s deemed qualified for work release to serve the remainder of his sentence, the judge would sign off on it.